Oregon Explorer (oregonexplorer.info) is Oregon’s official and free online resource you can use for your students to learn about their place, and compare it with other places in Oregon. The resource focuses on natural resources and environment, as well as demographic and other human dimensions of any location in Oregon. The session will introduce you to Oregon Explorer, and help you plan to use as a standalone exercise or — preferably — as preparation for field adventures that build on questions and hypotheses students formulate via Oregon Explorer. Oregon Connections is an online matching system to connect students with industry and academic expert. Learn how to use an effective and efficient tool to set up face-to-face guest speakers, virtual guest speakers, industry field trips, job shadows, internships and virtual career fairs. Oregon Connections is a free tool unless you want to set up virtual sessions. By attending the session, you will receive a virtual license worth $100. The Math in Real Life project helps teachers develop lessons that link math to a meaningful context. During this workshop you will work with other teachers to identify an interesting context for a mathematics lesson and begin development of that lesson. Most of you are aware of the STEAM Resource Lending Library available for Douglas County educators where you can check out things like robotic kits, microscopes, and Vernier probeware for your classroom. Wouldn’t it be great if there were lesson plans to go with everything in there? No more wondering or searching for how to creatively use them! In this session, we will be getting hands-on with the lending library resources in order to create these lesson plans. Go deeper into your own understanding of a STEAM lesson, leave with a solid lesson plan (or more) for the upcoming year, give something to the county’s education community, and make some money all in one session! This introduction to NGSS will explore the following questions: Why do we teach science? How does science work? What is the process of teaching science? We will be focusing on phenomena and how to bring storylines into the science classroom. Educators will leave this workshop with activities to be brought straight into their classroom. A follow-up option will be provided for two more sessions in the fall to include college credit. Presenter: John Melville, Vernier Software & Tech. 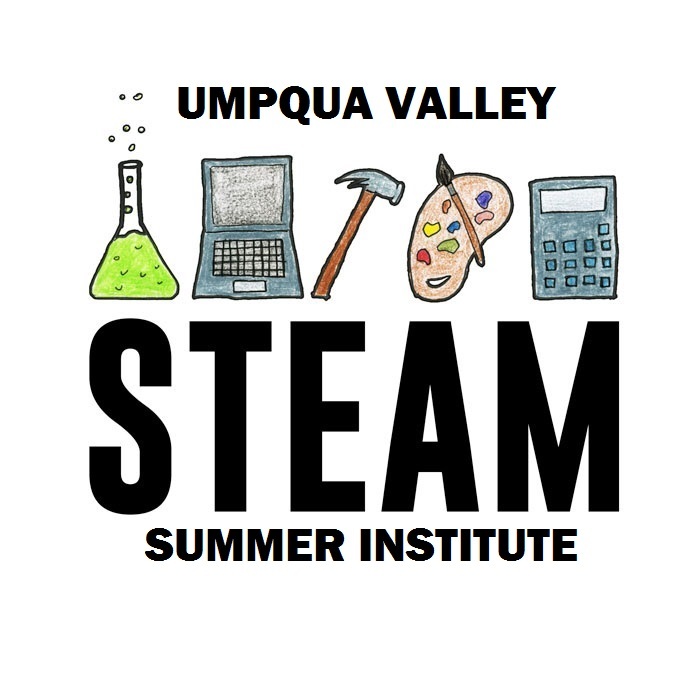 The Umpqua STEAM Resource Lending Library is filled with Vernier technology tools to collect, analyze and interpret data for all levels of STEAM education. Work with a representative from Vernier to learn how to use the technology and embed it into your classroom learning. Go to www.umpquasteamhub.org to enroll in the library and see what is available. Maps are an intuitive way to understand places, and maps can also be a good way to share what we have learned about places using spatial data and Geographic Information Systems. ArcGIS Online and related device apps are available via a free site license for all Oregon public schools, and offer a relatively simple yet powerful way for your students to learn spatial data collection, visualization, analysis, and communication. These two sequential sessions focus on field-based GIS, including GIS basics, device-based field data collection, and simple GIS analysis and sharing of data. Participants will learn the basics of GIS and plan how to use ArcGIS in field-based learning adventures. GLOBE (globe.gov) is a freely available K-12 field-based science curriculum, with NGSS-correlated activities covering the atmosphere, biosphere, hydrosphere, and pedosphere. The exciting thing about GLOBE is that it is truly global, giving your students opportunities to do field-based science and then share their work with students from around the world, thus offering geographical and cultural lessons as well. These two sequential sessions will introduce you to GLOBE, and allow you to do some sample GLOBE activities, upload and visualize GLOBE data, and help you plan to implement GLOBE in your courses. This session starts at UCC and will also include a trip to the Alder Creek Community Forest to work with GLOBE technology on site. Turn your classroom into a mission control center through Project Learning and Rocketry. Mission preparation includes building custom rockets with 3D printers and conducting experiments to explore the science behind space travel. From the basics of Newton’s Laws of physics to mass and gravity, you’ll learn what it takes to excite students to be a real rocket scientist. Take home information about how to use the Family Engineering Toolkit (available in the Resource Lending Library) to engage with families you serve by hosting Family STEAM Nights. Appropriate for those working with ages PreK-8th grade. This workshop will explore how to integrate common core math principles within STEM investigations using a variety of simple hands-on activities. Participants will be introduced to guided inquiry techniques through completing several experiments and then connecting math concepts that are differentiated by participant grade levels. Engage in STEAM activities designed for early childhood and plan how to incorporate those techniques into your everyday practices. Appropriate those working with ages 0-7. Educators (Middle/High School) will experience the engineering design process through building and testing a wave attenuator. Educators will then design an engineering lesson that can be used in their own learning environment. Educators will learn through hands-on activities and will leave with a lesson ready for the school year. See what the UVSH has to share in the Resource Lending Library with time to play! Learn how to easily check out the equipment.